Before I highlight last weeks great features, I would like to say that my heart and prayers go out to the families and victims of the Aurora, Colorado tragedy. The link to her post that speaks of their experience is “here”.Â Her blog is called “A Miniature Clay Pot”. Thank you so much for all of you that take the time to party here. It is humbling and so much fun to go through all of your links! I will highlight a few but want to get this party started! Last weeks most clicked on link was Art is Beauty’s Ballards knock off. This girl is putting out awesome pieces right and left. I”m serious. She is getting down right fancy! I Should Be Mopping the Floor was right behind her with this popular post! 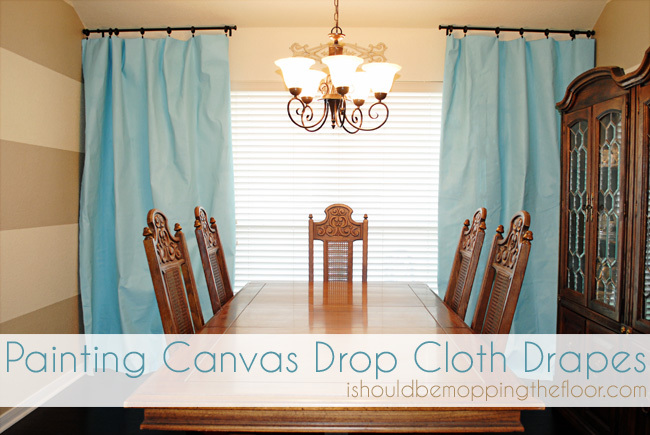 Want to know how to have painted curtains? Out of drop cloth????!!!!!! Check this out! 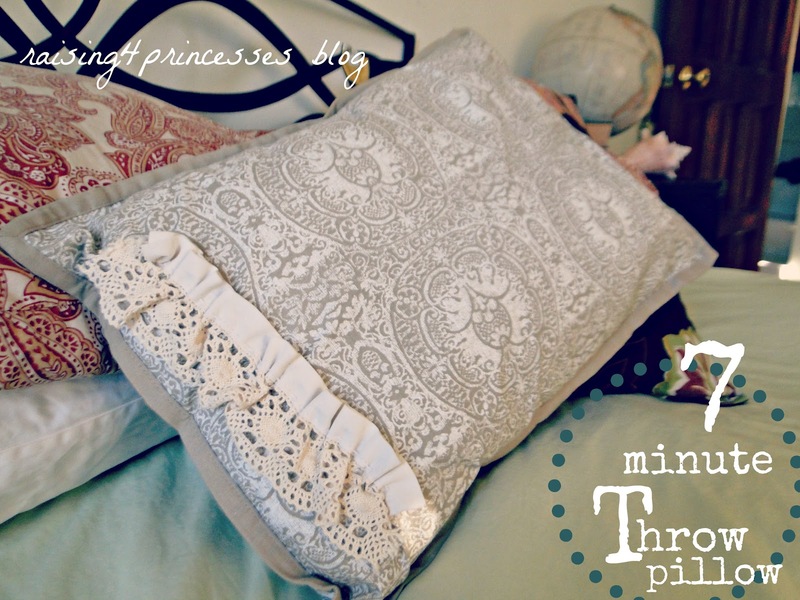 Carribbean Missionary Wife shared a 7 minute pillow cover tutorial. Multiply that by 7 hours and throw in a couple days for Rebecca time. ; ) Just teasing……. But you guys could whip these out! ← One of a kind….. THANK YOU SO MUCH FOR THE FEATURE HUN!!!! Thank You for hosting and for sharing the other link. My heart goes out to all those impacted by the horrible tragedy. I love that you linked to the post written by the mom that was in the theater-it was an amazing post, and I hadn’t seen it before! Very inspiring! Thank you so much for hosting another great linky party! Off to go meet some new friends!! Thanks for hosting… where is your button so I may add it to this post? I’m here every Monday but I don’t think I’ve ever thanked you for hosting. Bad blogger. And I’ve never linked because I haven’t the faintest idea how. Thanks so much for the clay pot hook-up. I would have been reading her all along if I’d found her blog before. Substitute: Essential “Oil” Sassy Water! Thank you for hosting this blog hop. Following your FB, Pinterest and GFC. This blof hop is listed on our Sunday Blog Hops Directory where you can also have fun hopping.